ONE AND ONLY HIGHEST GRADED!!! 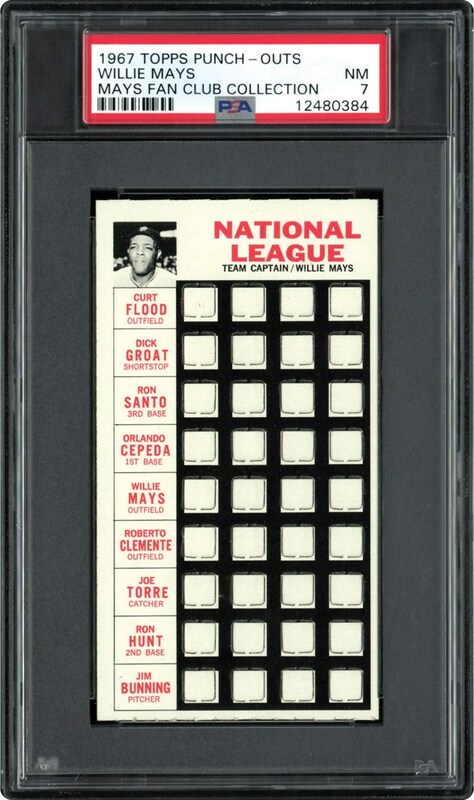 Willie Mays highlights a strong list of National League stars on the offered 1967 Topps Punch-Out test card. The pictured Mays stands as "Team Captain" above his peers including Flood & Bunning. A total of 86 cards were issued as a Test run in Maryland in 2 card cellos. Cards were un-numbered with 36 small punch-outs on front. 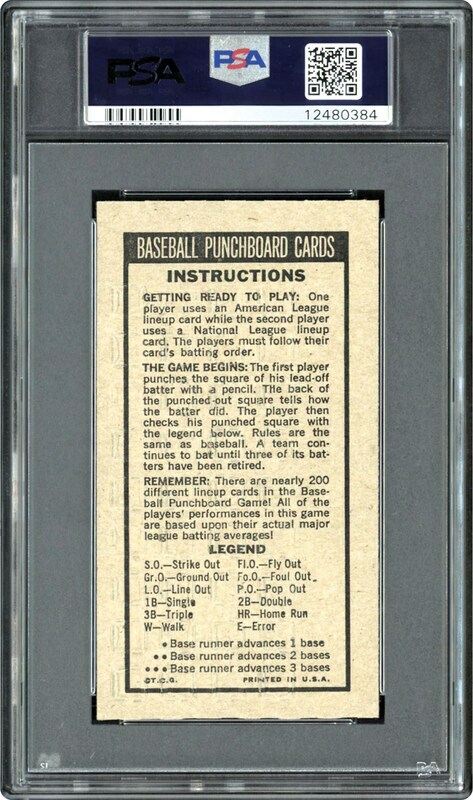 The back of the card has instructions on how to play a baseball game by punching out the squares on the front side. The offered example highlighted by MAYS at the top is the one and only PSA 7 NM example with nothing grading higher. Also, consider that PSA has graded just 2 of these cards. RARE MAYS!! !